Crypto investors have a knack for creating unique terms to represent vital components of the crypto world. A Bitcoin whale is an individual or entity that owns or controls a large amount of Bitcoin in the Bitcoin market. As the name suggests, they are the biggest fish in the Bitcoin sea. Many have argued that the decentralized nature of the Bitcoin network is threatened by these entities since they control a significant percentage of the total supply of the cryptocurrency. These perceptions have fueled a lot of investigation and scrutiny of the market activities of individuals and organizations that have been classified as Bitcoin whales. After all the jeopardize everyone with their actions on the market, making the Bitcoin trading look more like gambling at Bitcoin casinos. Bitcoin primarily protects the personal details of its users; however, it is possible to monitor the transaction activities, as well as the balances, of Bitcoin wallets. As a result, there have been extensive studies on clustered Bitcoin wealth. According to a report released by Chainalysis in April, these whales collectively control $37.5 billion worth of Bitcoin, which is almost a third of the total supply of the cryptocurrency. Also, a total number of 1,600 wallets own 1,000 Bitcoin and above, and 100 wallets have more than 10,000 Bitcoin. This shows that the Bitcoin whale club is an exclusive group of around 100 individuals or institutions. In another report released in October, Chainalysis claimed that the 32 largest Bitcoin wallets collectively owned about 1 million Bitcoin, which is equivalent to $6.5 billion. Of these 32 wallets, 9 wallets (owning about 332,000 Bitcoins, which is equivalent to $2 billion) actively interact with the Bitcoin market. Also, miners and early adopters own 332,000 Bitcoins, which is spread across 15 wallets. Further, 3 wallets (which collectively control 125,000 Bitcoins, worth about $790 million) are reportedly connected with criminal activities. We may not be able to conclusively answer, Who is the richest Bitcoin owner? But we do know there are several groups out there with a lot of control over the cryptocurrency. In addition, there has been an emergence of crypto hedge funds, and there are some factions who believe that they have more influence on the Bitcoin market. In particular, there are crypto hedge funds that control assets worth $100 million and above. Some of these hedge funds are Pantera Capital, Binary Financial, Fortress, Bitcoin Reserve, Global Advisors Bitcoin Investment Fund, Bitcoin Investment Trust, Coin Capital Partners, and Falcon Global Capital. 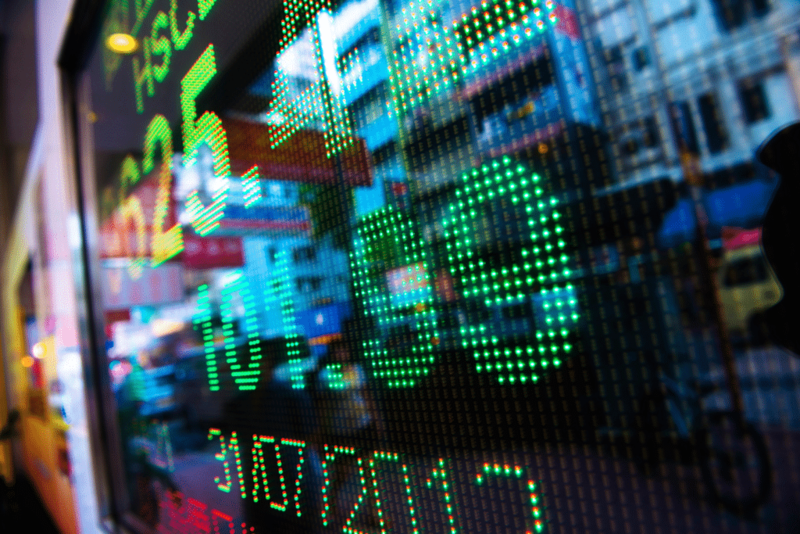 The stability and the convertibility of an asset determine its level of liquidity. An asset’s convertibility refers to how easy it is to convert the asset into other assets, while its stability denotes the influence of quick and enormous trades on the asset’s price. Bitcoin’s convertibility is very much guaranteed, as the cryptocurrency can be exchanged for other assets in seconds. However, as we have pointed out, there are still some reservations over the stability of the Bitcoin market. Although the Bitcoin market has shown a level of maturity in the past few years, it is susceptible to price manipulations because it is still in its nascent stage. The activities of institutions and individuals who have strong buying power, like Bitcoin whales, can easily sway the price of the cryptocurrency. Crypto hedge funds, in particular, have a knack for strategically and quietly dictating the price movement of Bitcoin by splitting significant trades into thousands of small orders, which they will initiate over a period of time. This could take hours, days, or even months. The end result is that they have managed to put in place price triggers without alarming smaller traders who might deflect their plans. 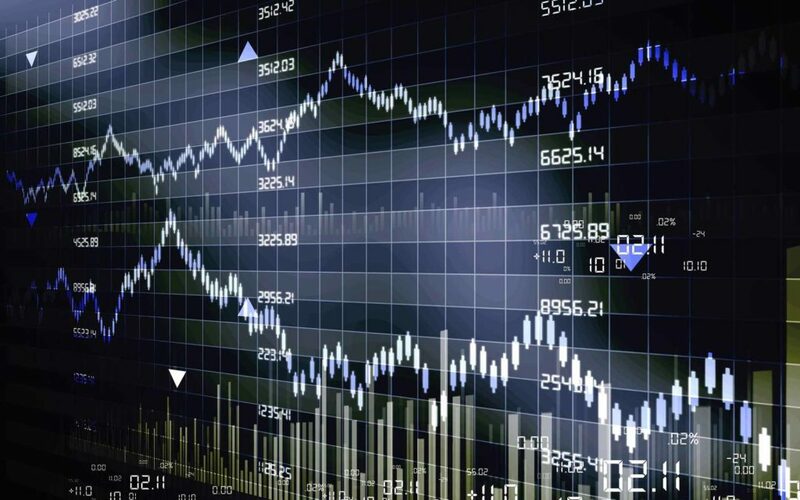 Once these trades are triggered, small traders willingly succumb to the price movements and the hedge funds are able to maximize profits on the trades. Crypto hedge funds thrive on the instability of the Bitcoin market. What Is a Whale Investor? Bitcoin whales influence the Bitcoin market trends by utilizing certain trading strategies. Some of these strategies are detailed below. The Rinse trade is more effective when utilized by a whale, as they have enough assets to trigger a price movement. To achieve this, the whale sells off a large amount of Bitcoin at prices lower than the market rate. This move could cause a chain reaction in the market as small traders panic and sell off their Bitcoins. The panic sell-off would cause the price of Bitcoin to reach a new low, and the whale buys more Bitcoin than he or she had originally sold. Repeating this technique is what we call the Rinse and Repeat Cycle. This technique actually does not require a Bitcoin whale to physically trade Bitcoin. Instead, they can place a bid to buy and sell at a price different from the market rate and withdraw these bids as soon as it has the desired effects on the Bitcoin market. As such, it is common to see whales—and even smaller traders—bluff by setting up buy and sell walls that tend to disappear. The chances of identifying bluffs and real buy and sell walls are very slim. Bitcoin whales are aware that their trading activities are likely to create a chain reaction in the Bitcoin market. Therefore, they utilize discrete ways to buy and sell Bitcoin when they do not intend to disrupt its price patterns. The best way to do this is to utilize Over the Counter (OTC) platforms and Dark Pools, which are hidden from the public eye. Platforms like this allow “off the record” trades, which guarantees the privacy of their customers. Therefore, it is possible for whales and institutions to move a large amount of Bitcoin without causing a stir in the Bitcoin market. The bid size of Bitcoin could significantly increase when a whale is actively engaging the crypto market. In addition, the sudden cancellation of big orders could signify that the price of Bitcoin will fluctuate. The prices of cryptocurrencies experience major momentum when there are new developments, game-changing announcements, or news. However, if there’s no explanation for new activity, it’s possible crypto whales are influencing a cryptocurrency’s value—like when you see the price of Bitcoin steeply decline or increase for no clear reason. The trading volume of Bitcoin is almost always evenly balanced (i.e. the buyers and sellers evenly split the volume). As soon as a whale influences the market, the volume tends to spike, and either the buying percentage or the selling percentage is bound to surge. Satoshi Nakamoto is the pseudonym of the anonymous creator of Bitcoin, and they allegedly own around 1.1 million Bitcoin, which presently should be worth around $6.5 billion. Cameron and Tyler Winklevoss came to prominence when they sued Mark Zuckerberg for the theft of their intellectual property. Apparently, they invested $11 million of the $65 million they won from the lawsuit to buy 1.5 million Bitcoin back in 2013. At the moment, they are some of the most influential figures in the crypto space, and they own the Gemini exchange. Wondering who has the most Bitcoins? They’re likely top contenders for the spot. Garvin Andresen has been a key figure in the Bitcoin market since its inception, and he is currently the chief developer of Bitcoin’s open source code. At one point, he received $200,000 in BTC for his contributions to the growth of the Bitcoin network. Roger Ver is one of the early adopters of Bitcoin, and he allegedly owns nothing less than 100,000 Bitcoins. The Bitcoin millionaire, who is popularly known as Bitcoin Jesus, believes that people should have full control of their property and life. Silbert is also an early adopter of Bitcoin, and he is one of the biggest Bitcoin investors. He is the founder of Digital Currency Group. He reportedly bought 48,000 Bitcoins for $16.8 million in 2014 when the US Marshals auctioned the Bitcoins it had seized from operators of the dark web. His Bitcoin stash should be worth around $312 million in today’s Bitcoin market. Other entities believed to control huge amounts of Bitcoin is Bulgaria—which seized around 213,519 Bitcoin from crime syndicates within its borders in 2017—and the US. A Chainalysis report in October suggested that Bitcoin whales do not selfishly manipulate the price of Bitcoin. Instead, they have contributed to the stability of the market. 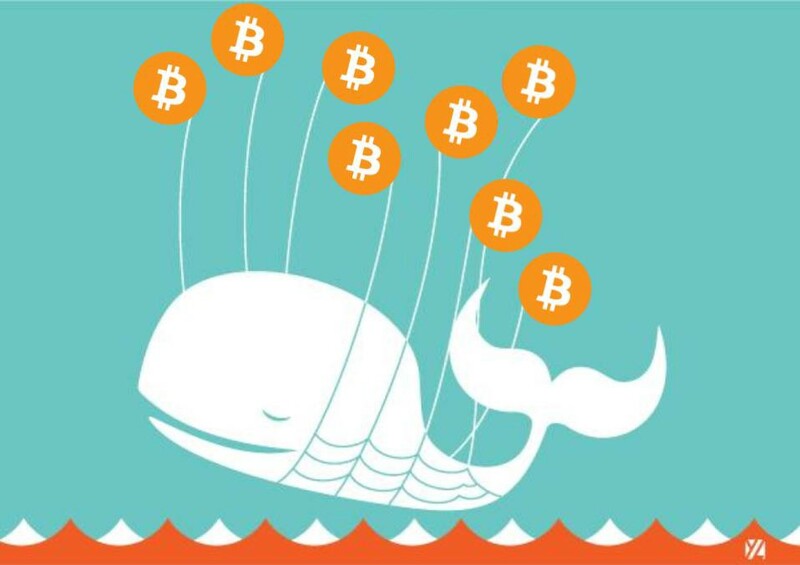 Events like the liquidation of 30,000 BTC by a whale in 2014, however, suggest that there are entities that can selfishly influence price movements. And hedge funds have found a way to continue to do this in an almost obscure manner. Yet, the introduction of regulations and the increase in institutional adoptions are factors that will diminish the influence of Bitcoin whales on the crypto market.